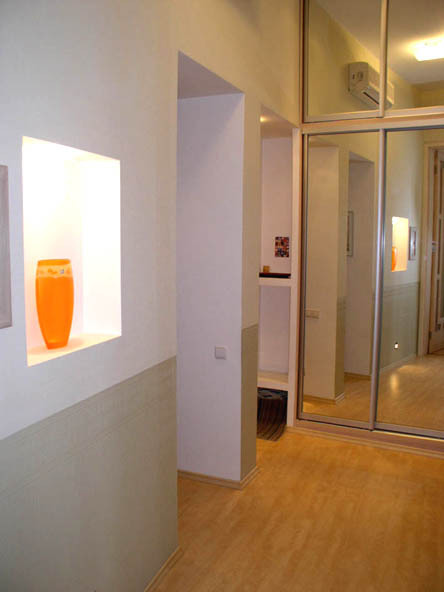 As many Odessa dwellings it is situated in a beautiful historical 3-storey building with high ceilings. The unique picturesque window view on the sea and Potemkin stairs should attract you. 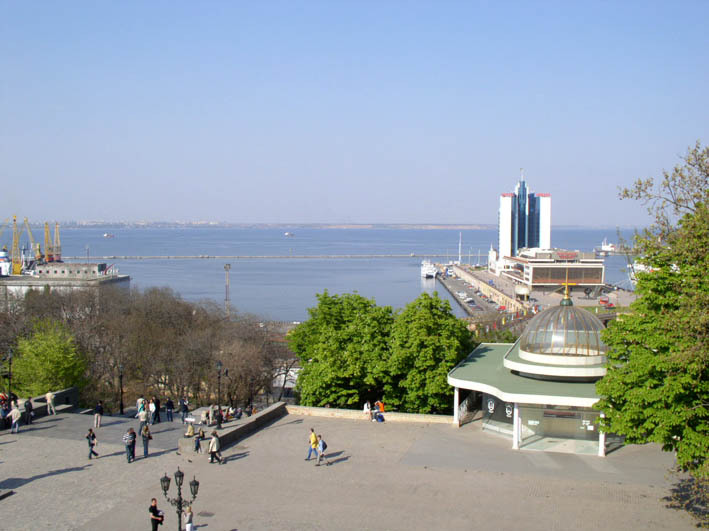 Close disposition to the embankment, no traffic noise and all necessary facilities will make your stay in Odessa an unforgettable one and will persuade you to visit this city for the second time. 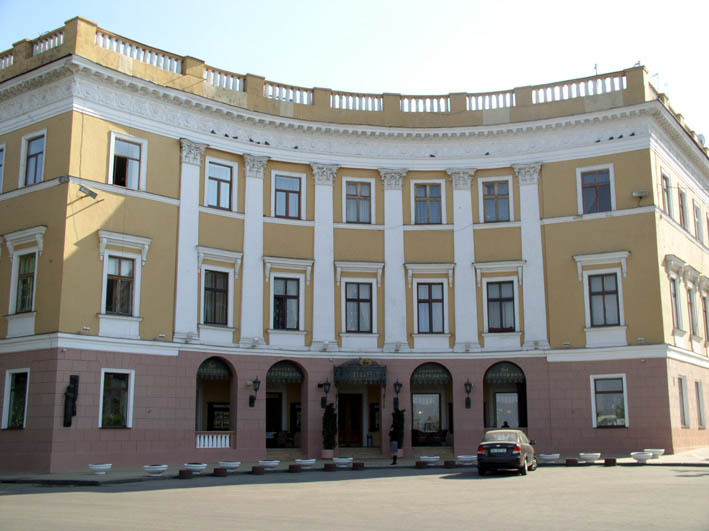 All this together with good disposition and OdessaвЂ™s picturesque places will make you fall in love with Odessa forever! 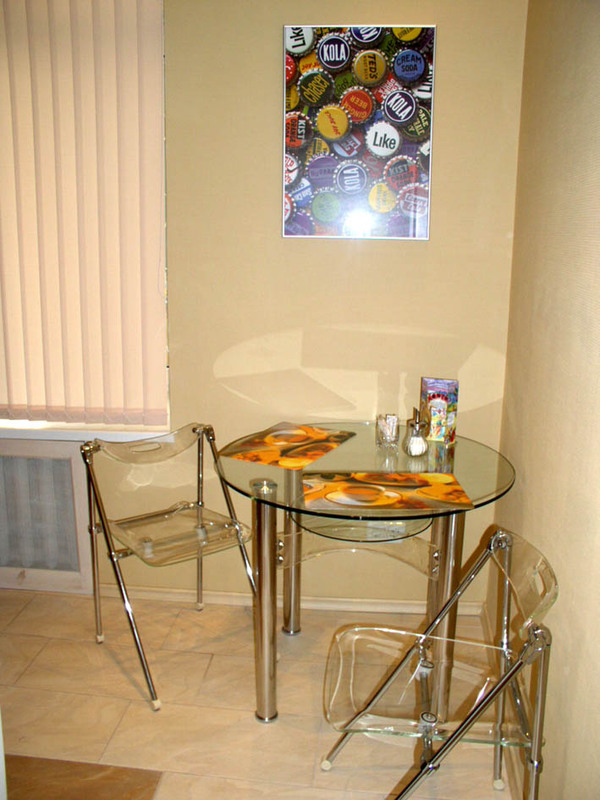 There is вЂњBoulevardвЂќ restaurant on the ground floor of the same building вЂ“ so you can easily order breakfast. 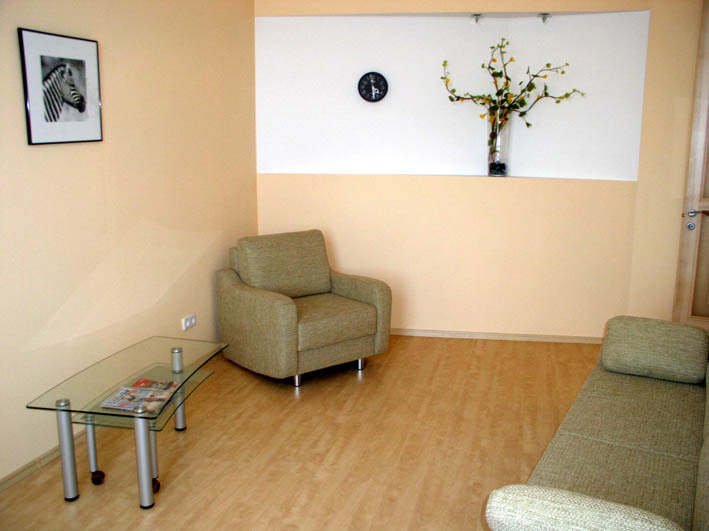 The apartment is decorated in a European style with every necessary thing being at hand. In a bedroom you will find a king size bed with a wardrobe to keep your things there. 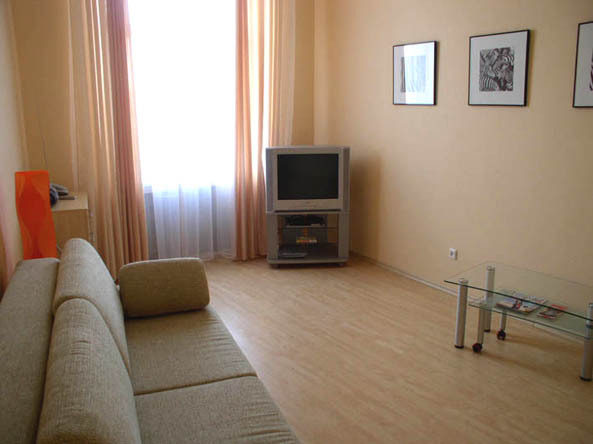 In a living room there is a sofa and a small table with a chair to make you feel like at home reading a newspaper or watching TV (600 satellite channels) or listening to your favorite CD/DVD player. 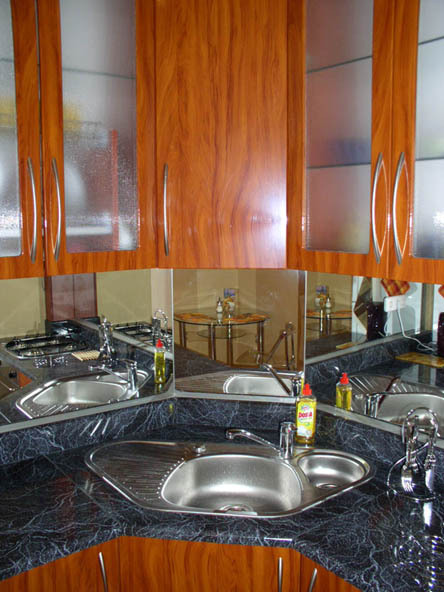 When you go to the kitchen you will find there all necessary facilities, i.e. gas-cooker, oven and a fridge that will render you a helping hand while cooking your favorite dishes. Powerful air-conditioner and electro water heating leave no place for such problems as water absence or high temperature outside. 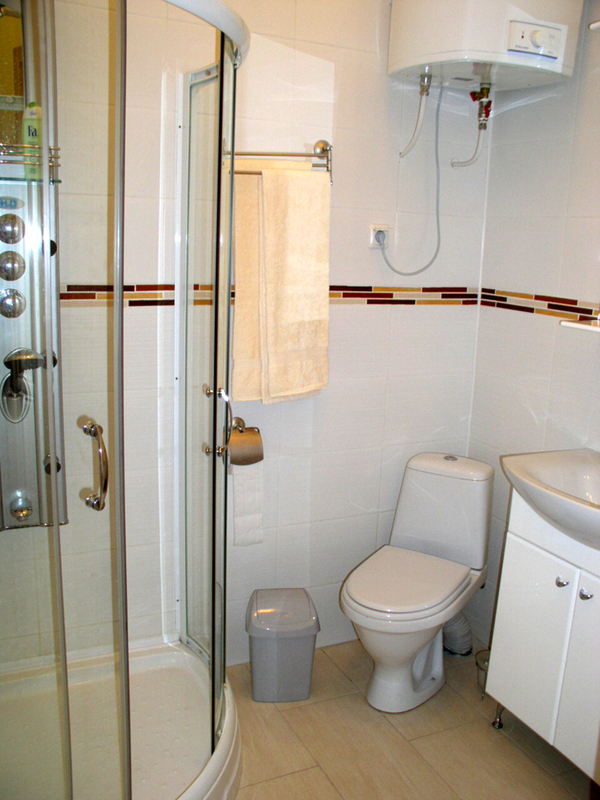 The bathroom with a modern massage shower cabin will cheer you up after your long sightseeing about Odessa. 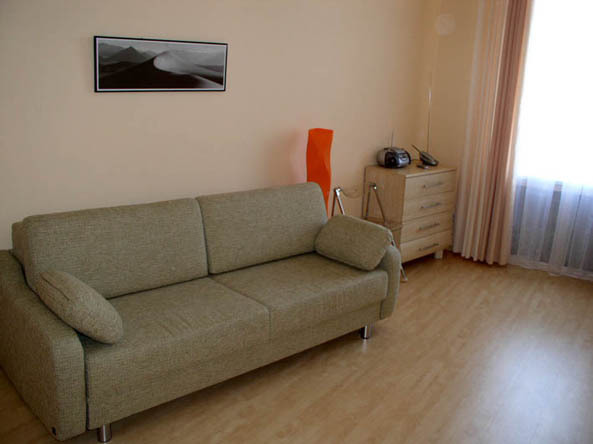 Minimal term for booking this apartment for June-September is 7 nights.